Back in the 90s' there was a Japanese cartoon series about football that became even as popular as Dragon Ball. 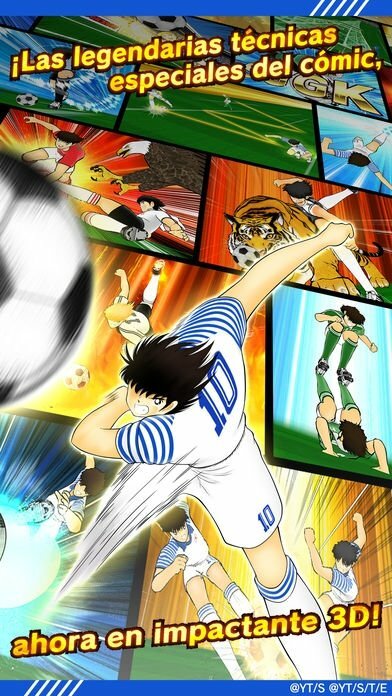 We're talking about Captain Tsubasa, originally called Kyaputen Tsubasa, and created by Yoichi Takahashi in 1981. The anime series that we managed to watch in Europe and North America in the 90s' had been going on for quite some time in Japan and was inspired by a manga that its creator started to draw at the end of the 70s' due to his devotion for football and especially Johan Cruyff. The fact is that we can finally play a video game based on this manga on our iPhone and iPad. 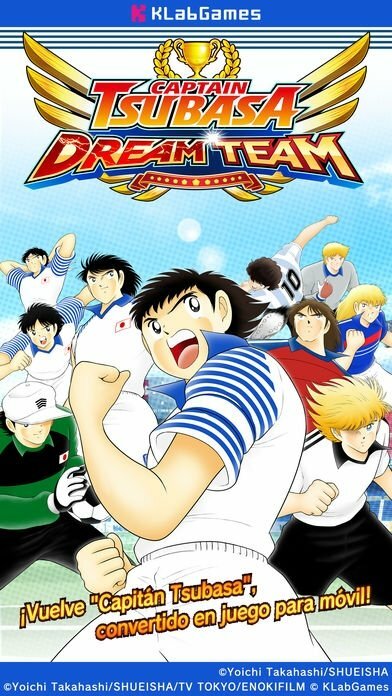 It goes by the name of Captain Tsubasa: Dream Team, and it's a game featuring all the characters from the original series, known for defying all the laws of physics due to the kilometric football pitches and the never-ending matches. 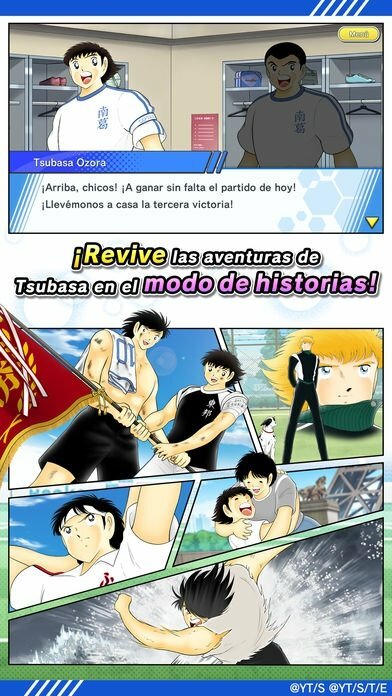 So if you watched every single episode to find out how they were all selected to play for Japan, if you know the soundtrack off by heart, the name of every single team, and the name of all the characters without having to resort to Wikipedia, this game is for you. For all those kids who were more fans of Nankatsu than their own football club. 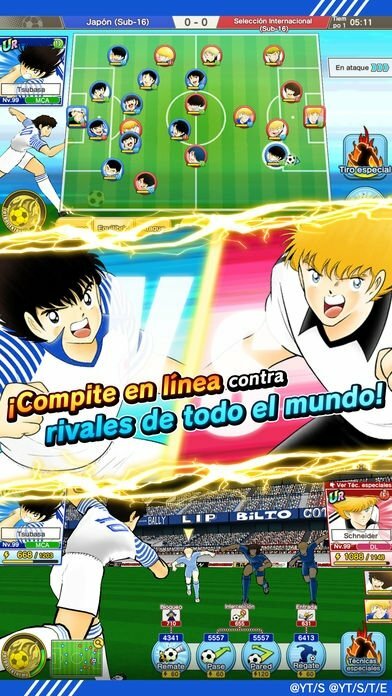 Create the team of your dreams with your favorite players: whether you prefer Nankatsu or Toho, you can choose between Ozora Tsubasa, Genzo Wakabayashi, Ryo Ishizaki, Taro Misaki, Kojiro Hyuga, Ken Wakashimazu, Jun Misugi, Hikaru Matsuyama and many others. Recreate the most incredible and legendary moves such as the banana shot, the tiger shot or the combined shot that you probably tried to do in real life. 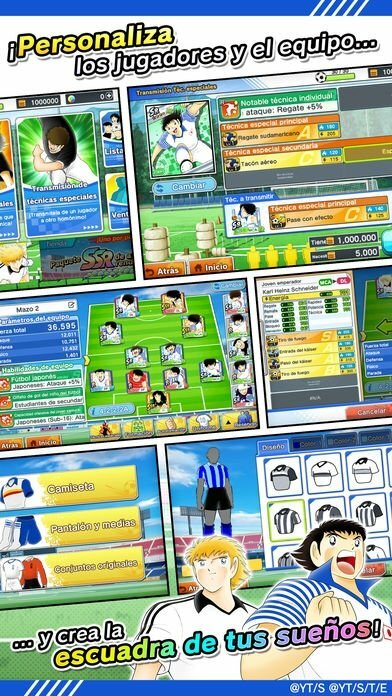 Play online matches against other players from all over the world. Story mode based on the comic. Prepare your team choosing between the players available, your formation, and your kit. Coach your players and transmit all your knowledge and special techniques. If you allow us to give you some advice, don't go to YouTube to search for episodes of this series, you might feel a bit embarrassed thinking about how much you used to love this series but now it doesn't look so cool. There are things that are better off in the past. However, the game is really cool, so download it right now.